Can Coffee, Tea Protect the Liver From 'Western' Diet? TUESDAY, June 13, 2017 (HealthDay News) -- Regularly drinking coffee or herbal tea may help prevent chronic liver disease, new research suggests. Scientists in the Netherlands found these popular beverages might help thwart liver fibrosis, or stiffness and scarring due to chronic inflammation. "Over the past decades, we gradually deviated towards more unhealthy habits, including a sedentary lifestyle, decreased physical activity, and consumption of a 'happy diet,' " said study lead author Dr. Louise Alferink. This "happy diet" -- commonly known as the Western diet -- is rich in sugary, processed foods that lack nutrients. This unhealthy way of eating has contributed to the obesity epidemic and a surge in nonalcoholic fatty liver disease, which occurs when excessive amounts of fat accumulate in the liver, said Alferink, a researcher at Erasmus MC University Medical Centre in Rotterdam. To investigate the possible protective effects of coffee and tea, researchers examined data on more than 2,400 Dutch individuals age 45 or older who did not have liver disease. The investigators examined medical records, including results of abdominal and liver scans. They also analyzed responses to food and beverage questionnaires that asked about tea and coffee consumption. The study participants were divided into three groups based on their coffee and tea consumption. The researchers also noted what type of tea the people drank, including herbal, green or black. They found that frequent coffee drinkers had significantly lower risk for liver stiffness and less scarring regardless of their lifestyle and environment. Overall, frequent herbal tea and coffee drinking appeared to have a protective effect on the liver and prevent scarring among those who had not yet developed any obvious signs of liver disease, researchers said. The study results were published June 6 in the Journal of Hepatology. "Examining accessible and inexpensive lifestyle strategies that have potential health benefits, such as coffee and tea consumption, is a viable approach to finding ways to halt the rapid increase of liver disease in developed countries," Alferink said in a journal news release. Already, there is some experimental data suggesting that coffee has health benefits on liver enzyme elevations, viral hepatitis, fatty liver disease, cirrhosis and liver cancer, said the study's principal investigator, Dr. Sarwa Darwish Murad. "The exact mechanism is unknown but it is thought that coffee exerts antioxidant effects," said Murad, a hepatologist at the medical center. "We were curious to find out whether coffee consumption would have a similar effect on liver stiffness measurements in individuals without chronic liver disease." 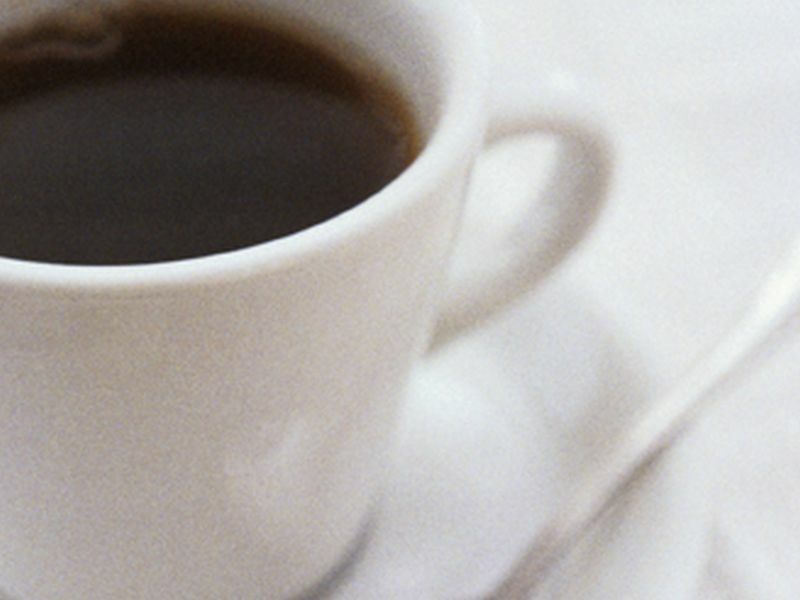 However, the study can't prove that coffee and teas actually improve liver health. And the researchers concluded that more research is needed before making general recommendations. Also, the study had limitations, according to the authors of a journal editorial. For one, most people in the study were older and white. In addition, the beverage components were too varied to reliably estimate any benefits, they said.